Why do we want to measure moisture in materials? A large percentage of industrial processes are very similar in the respect that they blend and mix a variety of raw materials together to produce an end product. The raw materials will contain a variable amount of moisture and during the process water may be added or removed by means of a drying process to produce a product with specified final moisture content. 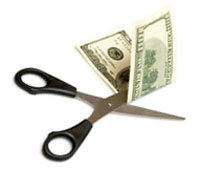 Reduce costs by reducing the amount of spoiled material. Save energy costs by only heating driers / burners to temperature required. Save energy costs by reducing the amount of mixing time required. Reduce additive costs by knowing the moisture levels of your raw materials. Automation usually increases production rates. Reduce the amount of time needed to rework. Improve quality – all batches / outputs are consistent. Easy adjustment to changes in moisture in materials to ensure consistency of final product.